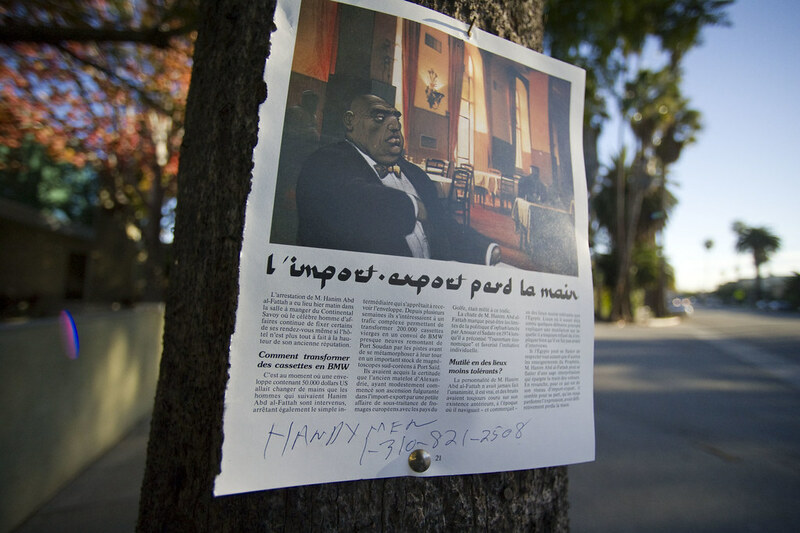 A curious solicitation framework, perhaps done by someone schooled in the layout practices of Ogilvy — attention grabbing image, followed by seductive copy (in French here) and the final *call to action* — Handymen and a phone number. Along the morning bike route, Venice Beach, California. A desperate plea for a lost week’s pay — and the plea to conscience to do the *right* thing. 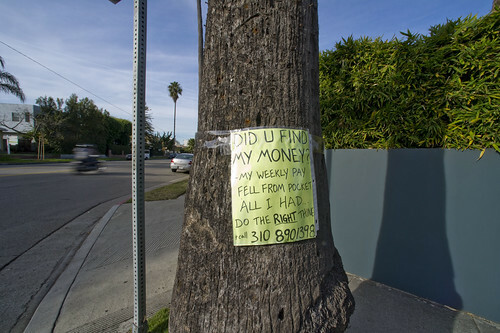 Seen right here in Venice Beach, California. Finally, the obvious made plain as a reminder. 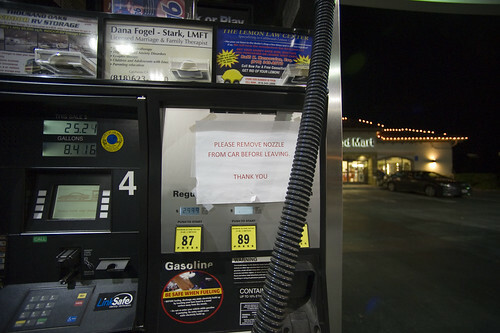 Evidently, it is a fairly common occurrence for distracted self-service pumpers to simply drive off with the pump nozzle still shoved in their tank. These things — I’ve been told — are designed to pop off their couplings without causing a Die Hard style explosion or gasoline fountain. Seen around Calabasas, California.